Here at Butlers in the Buff we have gathered some of the best bachelorette party ideas Nashville so you can plan your event with ease.Celebrate your bachelorette party in the Vegas of the South! America’s music capitol is a mecca for music enthusiast, vintage shopping, amazing BBQ and loads of Southern charm. 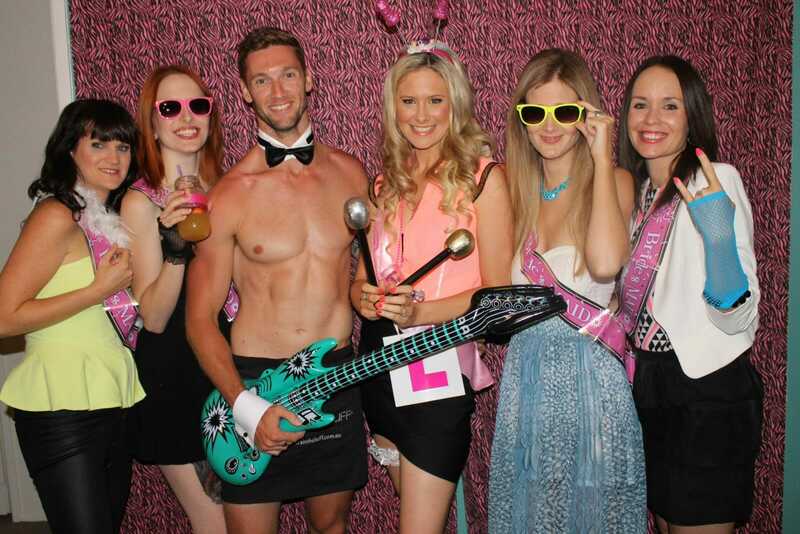 Learn how easy it is to hire one of our buff butlers the perfect addition to any party! Butlers in the Buff not only look good but they’re a hard working bunch too! Have your butler mix up and serve your favourite drinks while you relax and enjoy the cheeky view. Who could ask for anything more? These helpful hunks do it all in their bottom revealing apron, collar, cuffs and bowtie. Remember they are party butlers so by all means play with them! See our games pack for more bachelorette party ideas Nashville. He will host your party games and body shots are always welcome if you feel like it! The perfect highlight to your Nashville bachelorette weekend! If you’re feeling a little creative plan an evening with the girls at Paint Along they have great bachelorette party workshops and an art class is a great way for everyone to get together over a glass of wine and have a giggle. Have your Butler assist with fetching fresh water, paints and refreshing your wine glass! No trip to Tennessee is complete without a visit to the Jack Daniels Distillery in Lynchburg. Ironically the museum is in a dry county now so hide your purchases from the gift shop until you’re back in Nashville! Themes are a great way to tie it all together. Little details throughout your bachelorette weekend make the bachelorette party extra special. In Nashville a country look can be a lot of fun, not just cowboy hats but cute dresses with just boots can go a long way! For more great themes and best bachelorette party ideas Nashville visit our Pinterest page for inspiration. Butlers in the Buff specialize in helping your party run smoothly. Your butler can man the grill and serve up dinner for your BBQ bachelorette! He’ll even do the dishes. Know someone who would make the perfect Butler in the Buff? We are always recruiting across the US and Canada. They can apply online here.